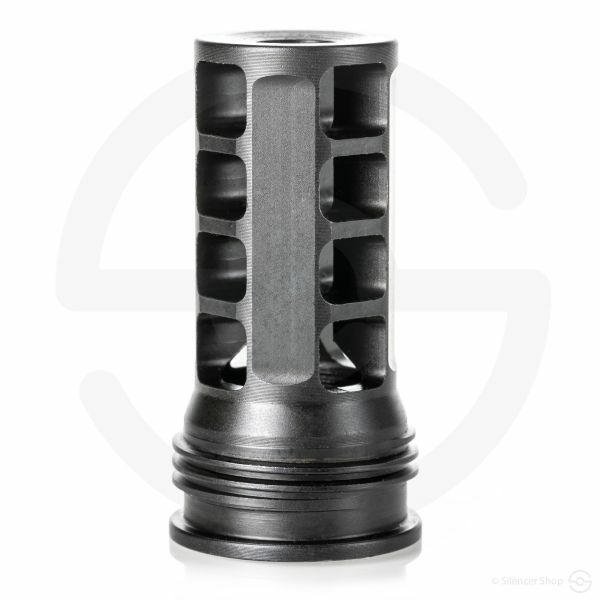 Sporting a stainless steel and solid-welded core, the Dead Air Wolf-9SD is built with durability at the forefront. 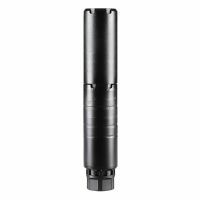 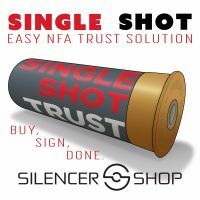 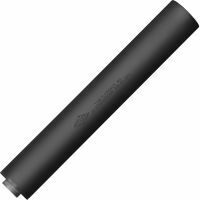 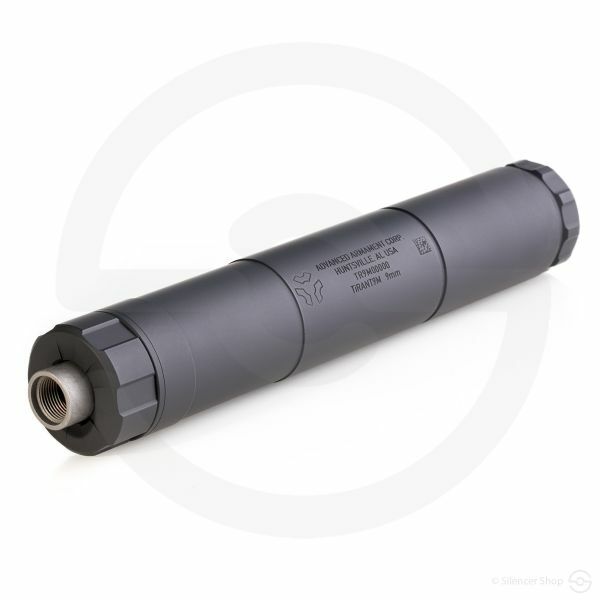 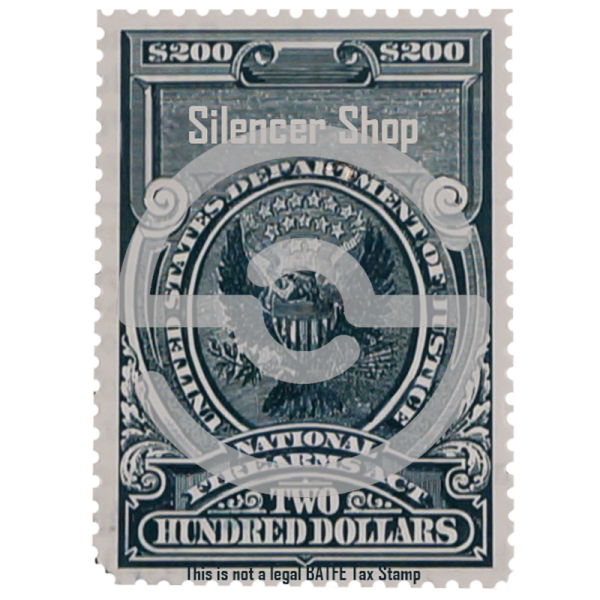 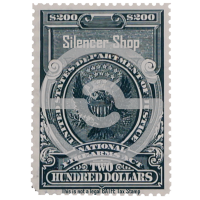 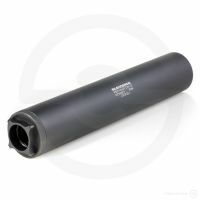 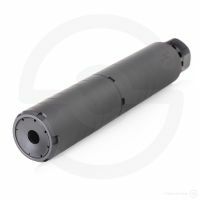 Considering it handles full-auto fire, this silencer is as tough as you need it to be while running your subgun or pistol rigs. 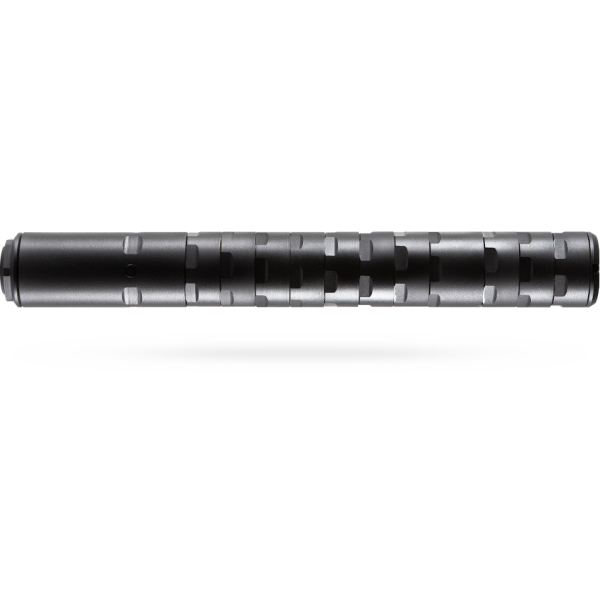 In the long setup, it measures 7.58” and weighs 14.7 ounces. 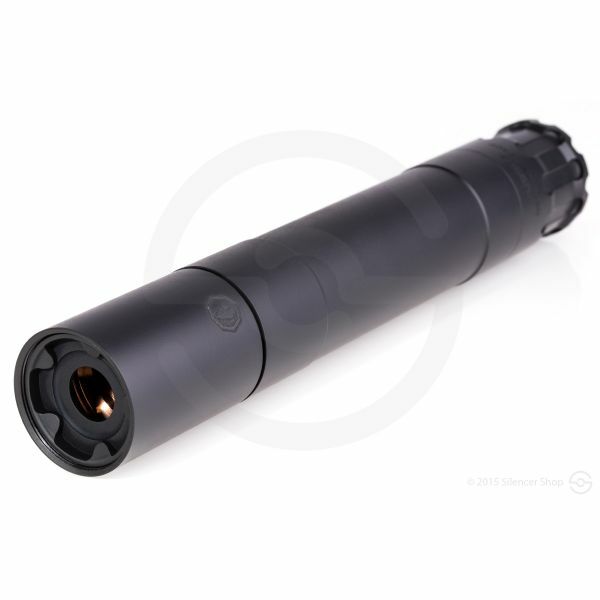 In its short layout, the Wolf is only 4.1” in length and 7.5 ounces in weight. 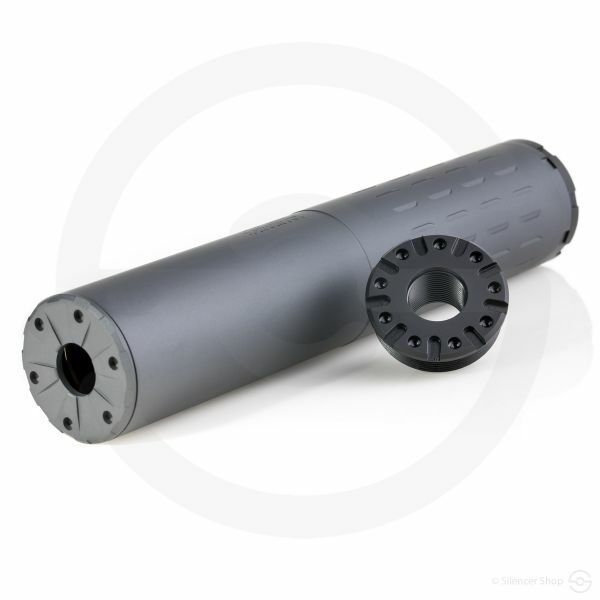 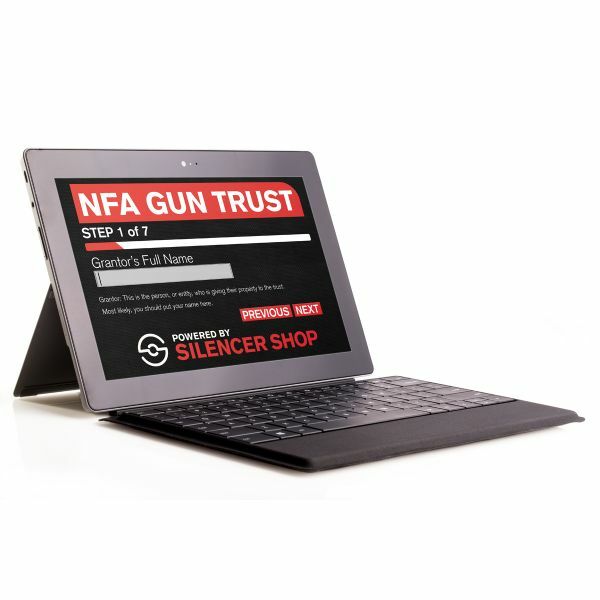 Moreover, a removable front module provides added versatility/mounting options during your gun range visits. 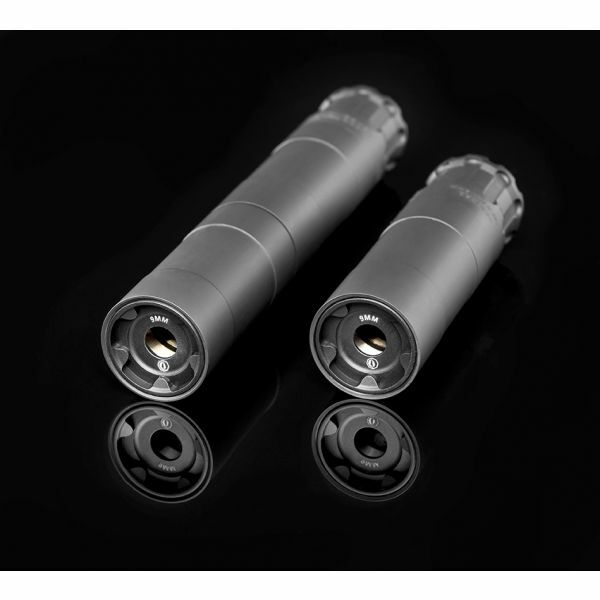 To that point, it even uses the same adapters as its older brother, the Ghost-M unit. 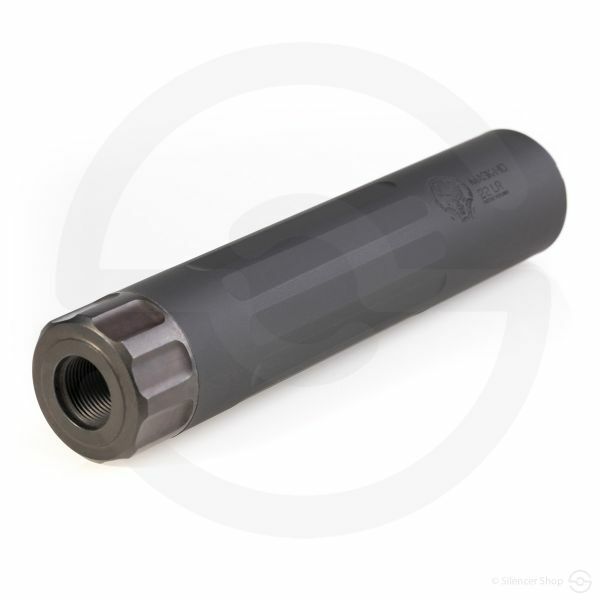 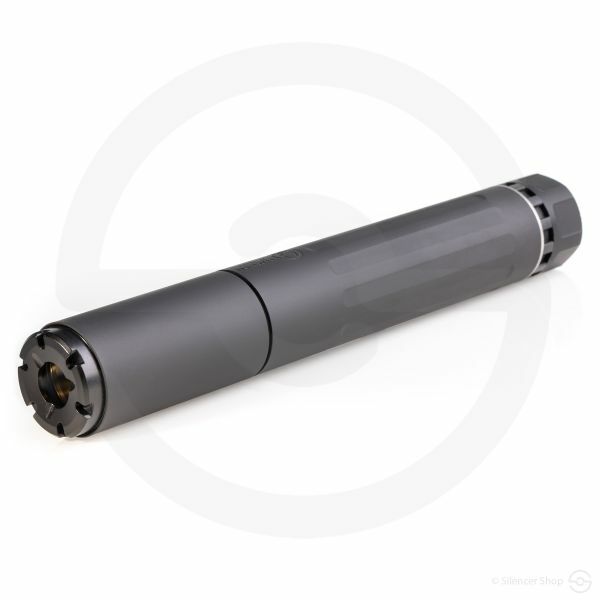 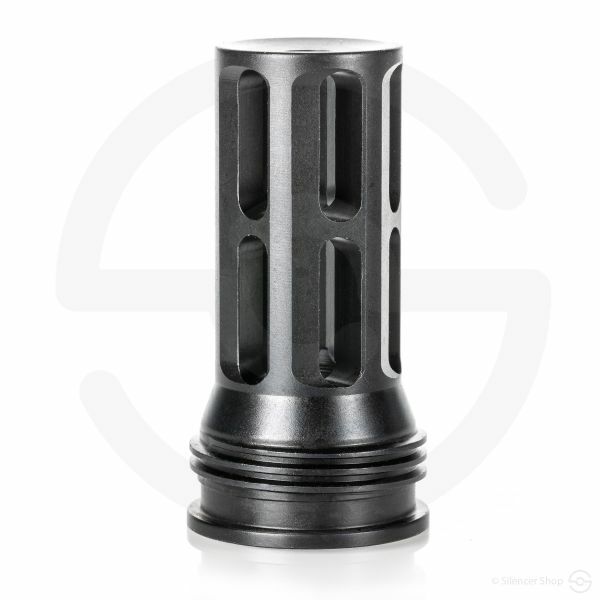 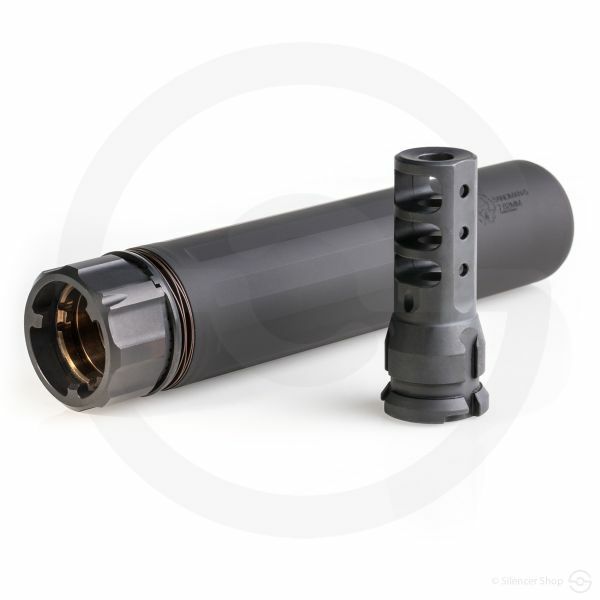 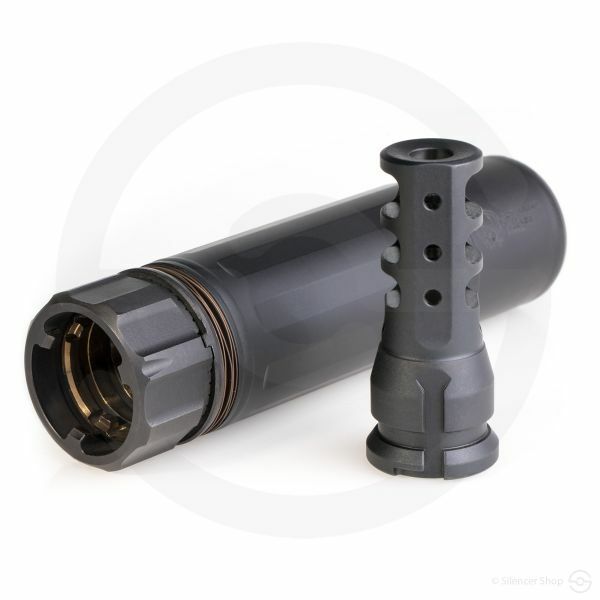 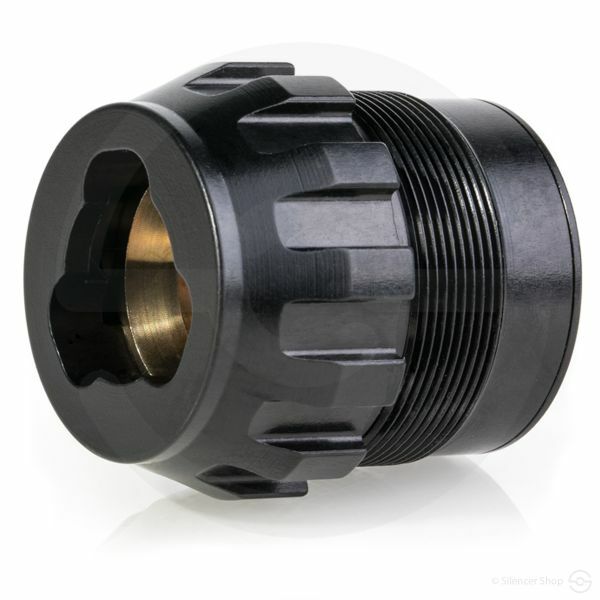 In addition, a booster assembly (i.e., retaining cap and spring) accompany this unit; however, a piston purchase is needed to fire the Wolf on a semi-auto pistol or a fixed-mount (3-lug) setup for use on sub-gun or pistol caliber carbines. 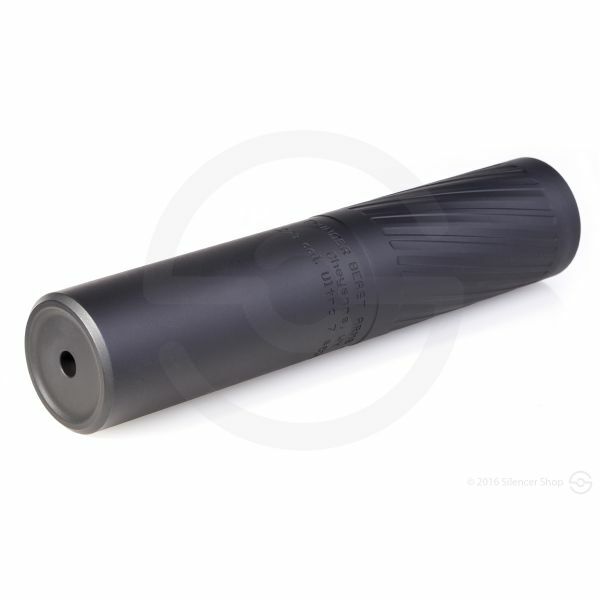 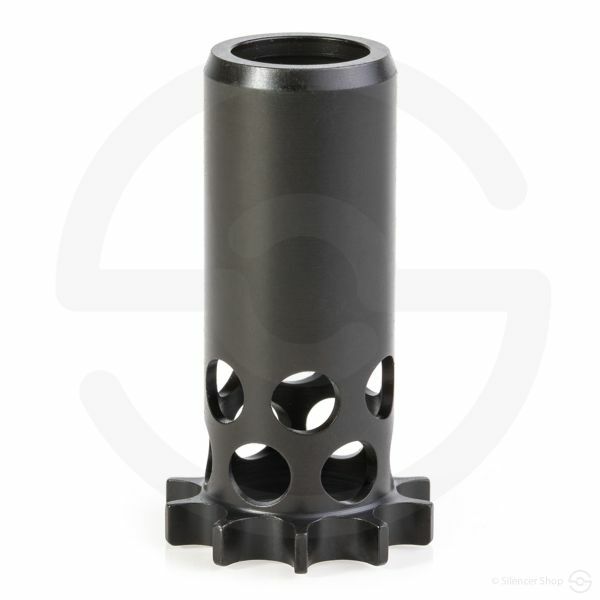 And although its 1.618” diameter will block most pistol sights, this can’s still effective on your preferred handgun. 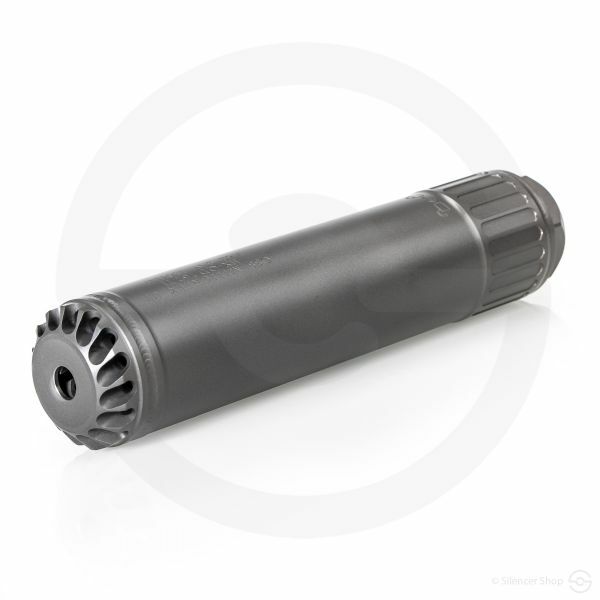 Needless to say, the Dead Air Wolf has already made its mark on the industry.